There are a few ways you can carry out a roof inspection, using a drone is the obvious one but if you don’t like drones you could use a cherry picker to inspect your roof, chimneys and out of reach places. Cherry pickers are much cheaper than scaffolding. 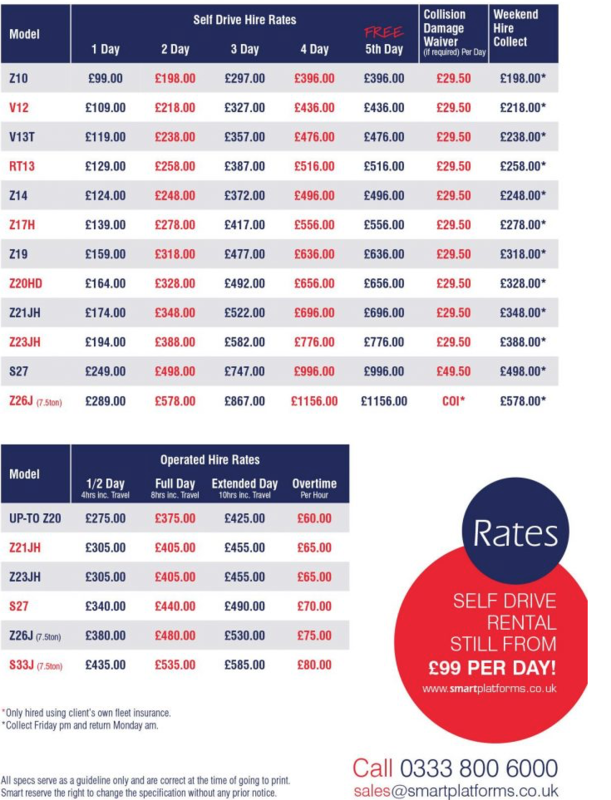 Here’s a price list for your information. Unless you have an IPAF 1b (you would know if you did) then you’ll need to look at the operated prices. I’m not sure if the guys operating the machine will take pictures for you or if you will go up with them and take your own pictures. You will have to make sure you have somewhere to park it beside the building and be prepared to move it along the building at regular intervals. Alternatively, we could come along, fly a state of the art drone to do an inspection while you enjoy a coffee in the warm. When we’re done we will provide you with the high definition video and images of your building. If you need a bit more than just images and video and would like a full, qualified surveyor’s report we can arrange that too. Aidan O’Connor, the managing director of ASM Ireland, is one of the country’s most knowledgeable commercial drone operators, with particularly extensive experience in the field of quarry surveying. Waypoint caught up with Aidan to blast through the benefits of using drones over terrestrial instruments and to drill down into the different ways drone data can benefit quarry operators. Hi Aidan, and thanks for your time today. Can you maybe start us off with an overview of ASM Ireland, particularly your work with quarry clients? Aidan O’Connor is the managing director of ASM Ireland and was Ireland’s first ever senseFly customer. Sure. At ASM Ireland we specialise in aerial surveying with UAVs. In fact, we were the first Irish company to do so. We fly the senseFly eBee, and from its aerial images we produce georectified maps from which we can accurately measure distances, areas and volumes. We’ve worked on all manner of large projects across the country, from road design and construction to landfills, coastal erosion protection projects, wind farms and golf courses to name just a few. We do however specialise in quarry mapping. Our civil engineering background gives us a big advantage when it comes to understanding exactly what a client needs from a survey and we can then add significant value to the raw survey product. I would say we’re probably one of Ireland’s most experienced aerial quarry surveyors operating today. We’ve completed hundreds of flights with the eBee, from projects that are a few acres in size to large operations of 100 hectares and above, with the majority being quarries. 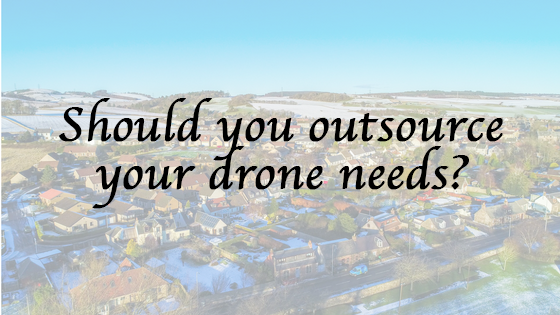 What are the benefits to quarry owners of employing a drone surveyor compared to a supplier who uses traditional instruments? There are two main benefits. The first is pure efficiency. If we take one independently-operated limestone quarry that we worked on in the South West of Ireland as an example, our survey was required for a planning application that the owner was undertaking. With the eBee, a full aerial survey of their 88-hectare site took us four to five hours. Around half of that time was spent placing our control points, which can take two to three hours, depending on the terrain. Traditionally, a surveyor using terrestrial equipment would likely use a combination of GPS (GNSS)—for quicker ground coverage of surfaces like floors and fields—and a reflector-less total station to get working faces, which are dangerous and inaccessible to terrestrial GNSS, all the while working around heavy machinery. For them to even get close to the same level of detail as the drone, it would take that single surveyor upwards of two to three weeks, although obviously, a small team would do it much quicker. How does the number of points compare? The drone’s point cloud, for this particular site, contains 44 million points. At most, with terrestrial surveying, you’re looking at a few thousand. It could even be a few hundred, depending on the topography, and even with this figure you’ll be relying on a huge amount of interpolation between points to calculate large areas. You mentioned two key drone benefits. What’s the second? It’s safety. In my experience, surveyors often take precarious risks to get to edges and they have to work close to machines that sometimes weigh more than a hundred tons. With a drone you don’t need to get out to those edges, you can launch and land at the perimeter of the site or even outside it, and with the speed of a drone survey you limit the time the surveyor spends on site. How much time did you spend processing the drone’s images in order to create the 44-million-point point cloud you mentioned? For this job, in fact, for most of our quarry surveys, the processing takes a few hours. We generally process our data overnight so that projects are ready when we return to the office the next day. We typically have a virtual copy of the quarry ready less than 24 hours after being on site. A screenshot from one of Aidan’s quarry survey point clouds. If we stick with this same quarry example, were your deliverables simply handed to the client and you moved on to your next project, or did some joint analysis also take place? Once we had processed the data, we sat down with them on site for half a day. We discussed and virtually placed, in 3D, their new plant items in various parts of the site in order to check issues such as sight lines, excavation volumes, interruptions to existing workflows etc. I believe they will also now carry out some noise modelling, using our survey to predict noise levels at the boundaries of the site. In addition to the eBee outputs, we also generated a full traditional contour map for their planning process whereby we digitised everything on site into AutoCAD format. What kind of detail did your final orthomosaic of their site show? Incredible detail. The final orthomosaic’s GSD, or ground sampling distance, was three centimetres per pixel. To put this in context, it was over 30 times higher resolution than the next available option. The ortho, or photo map, on its own, is an incredibly valuable asset when it comes to planning operations, as it means the smallest detail can be taken into account. And in terms of the absolute X, Y, Z accuracy of the data you supplied? We generally quote that accuracy will be in the region of 50 to 100 millimetres, or two to three times the GSD of three centimetres, in this case, six to nine centimetres, which would be standard for the industry and processing software. Our checkpoints however usually confirm an accuracy in the region of sub-five centimetres. You’ve carried out numerous aerial quarry surveys, for numerous clients, over the past few years. What is the typical feedback you receive from a new quarry client when they see the drone’s results for the first time? “Wow” is generally their first reaction to the level of detail achieved. But it’s when you explain what they can do with the data that they get most excited. Using our engineering background, we squeeze the most out of every possible dataset. We always say that the flight and processing is just the beginning. We often hear anecdotes from clients who wish they’d had the drone’s data, for a certain problem, going back years. They lament how much time it would have saved. We get that quite a lot actually. The advantage, when problem-solving, of having a virtual copy of your site to explore, can’t be underestimated. That’s the beauty of a UAV survey—all manner of detail is collected. It may not necessarily be required at the time but we’ll often get requests from clients months or even years later asking if we captured a particular detail, and almost always, if it’s visible from the sky, we’ve collected it. Measuring a stockpile’s volume within Global Mapper software. Lastly, could you talk us through the ways in which your drone’s data is used? How do your clients employ the deliverables that ASM Ireland supplies to guide and optimise their activities? Often we go into a quarry to solve one particular problem, but our maps, particularly our digital elevation models, end up being used for a huge range of purposes. These include calculating stockpiles or reserve, and during planning exercises, we can create cross sections and we can digitise the orthophoto—meaning all the detail in the orthomosaic can be digitised into a CAD format. We also use the drone data for environmental impact planning and reporting, managing property and boundary mapping, health and safety planning, and for blast planning, to name just a few. With the drone and the Pix4D processing software, we effectively get the whole site, in 3D, on our desktops. You get an enormous amount of detail, so from different aspects, you can see all the stockpiles, all the buildings, everything is mapped. 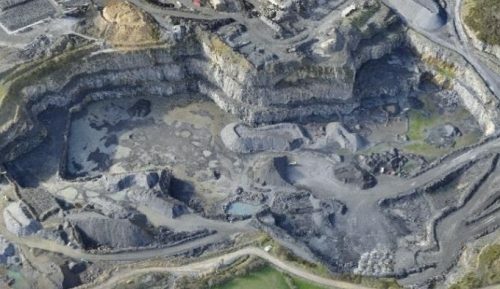 An (anonymised) example of how one quarry’s drone-derived 2D orthomosaic is being put to use. Using Drones for surveying and mapping. This article was published on the RICS website on 21 Oct 2016. It gives us a surveyor’s view of using drones in surveying and mapping. 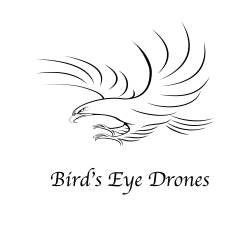 Of course, surveyors can employ a company that will provide the drones as a service, meaning surveyors don’t have to worry about any of the regulations or risks involved as long as you are employing reputable, CAA licenced and adequately insured company. The use of drones and related technology is becoming commonplace among the surveying and mapping professions. However, even though the technology is becoming more adaptable and user friendly, the underlying legal framework for operation must still be taken into account if surveyors are to avoid breaking the law. Drone inspection of damaged roof. Surveying large-scale agricultural areas, individual properties or hard to locate areas. Reducing health and safety risks. Less disruption since pilots only require a clear line of sight for the drone’s destination. Better images and improved environmental friendliness. Irrespective of their size, these are still classified as aircraft. The person in charge of operating the controls of an unmanned aircraft is referred to as the pilot. 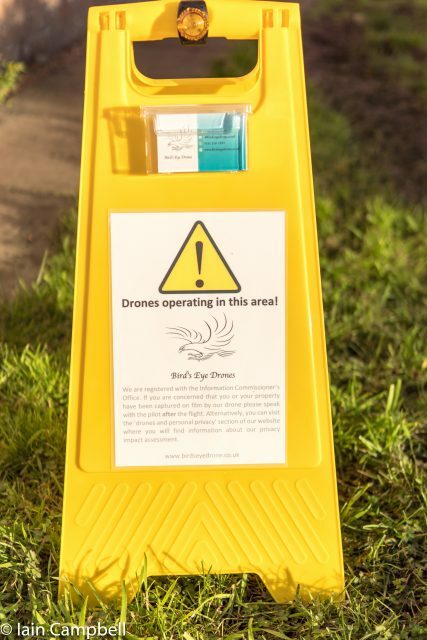 The UK’s Civil Aviation Authority (CAA) will not allow unmanned aircraft to present or create a greater hazard to anyone (or anything) than the equivalent operations of manned aviation. The CAA oversight of unmanned aircraft is based solely on safety considerations. It does not regulate any wider issues, such as privacy or nuisance. Aircraft of 20kg or less are classified as small unmanned aircraft. They do not require any specific CAA airworthiness certification but operators should remember that the pilot is at all times legally responsible for the safe operation of the aircraft. Anyone operating a small unmanned aircraft for commercial operation (i.e. for which he/she is receiving remuneration) requires permission to operate from the CAA. Pilots must maintain direct unaided visual contact with the aircraft at all times; within the UK, such ‘visual line of sight’ operations are normally accepted to a maximum distance of 500m horizontally and 400ft vertically from the pilot. In this context, ‘unaided’ does permit the use of corrective spectacles. Flight beyond these distances can be permitted, but the operator is required to provide explicit proof that this can be conducted safely. Some unmanned aircraft have a facility to provide the user with a video stream of the flight from an attached camera, which gives an impression of the flight from ‘on board’ the aircraft. The video stream can be viewed on a handheld device such as a smartphone or special visors and goggles. It should be pointed out, however, that such ‘first person views’ are not considered suitable for collision avoidance purposes and hence the aircraft must still be visually observed by the pilot during its flight in order to comply with the law. Operators of small unmanned aircraft being used for surveillance or data acquisition which involves flying close to people or objects require permission from the CAA, whether or not they are undertaking commercial operation. Specifically, this means flight over or within 150 metres of any congested area, over or within 150 metres of an organised open-air assembly of more than 1,000 persons, or flight within 50 metres of any person, vessel, vehicle or structure that is not under the control of the pilot. ‘Congested Area’ means, in relation to a city, town or settlement, any area which is substantially used for residential, commercial, industrial or recreational purposes. If the flight is to be conducted within ‘Controlled’ Airspace, or within the Aerodrome Traffic Zone ATZ of an airfield (the dimensions of an airfield ATZs vary, but encompass the airspace within either a 2nm or a 2.5nm radius of the airfield) permission to fly an aircraft with a mass of more than 7kg must be obtained from the Air Traffic Control (ATC) unit/authority and the flight must be operated in accordance with that permission and any additional restrictions required by ATC. To obtain an operating permission, an operator has to prove a sufficient level of competence and an understanding of the safety implications – the CAA will ask to see an up-to-date operations manual for the requested activities and evidence that the pilot is sufficiently competent. A risk assessment / method statement will be required for the flight concerned. These requirements are aimed at the protection of people and property which are not involved in the activity and are considered proportionate to the scale of activity taking place. CAA permission is not necessarily required for each individual flight, but the details of what is and is not permitted will be listed on each individual operator’s permission. Larger unmanned aircraft are required to comply with the full requirements of the Air Navigation Order under UK regulations in the same way as any other manned aircraft operation. This includes the requirement for a Certificate of Airworthiness, a properly licensed pilot, the ability to comply with the rules of the air etc. However, the CAA may be prepared to exempt an aircraft operation from some of these requirements if a suitable safety case can be offered in respect of the level of airworthiness assurance and the intended flights. The CAA may issue an exemption on the basis of its own investigations or by recommendation from an organisation approved under BCAR A8-22. Currently only one organisation has received such approval. Larger unmanned aircraft which need to be flown at extended ranges from their pilot are currently being tested for military and civilian applications. The airworthiness requirements for these larger unmanned aircraft are equally as stringent as those required for the equivalent manned aircraft. To ensure safety, these tests are flown in ‘segregated’ airspace, which is essentially closed to other aircraft. If large unmanned aircraft are to be allowed to operate in ‘non-segregated’ airspace (in the presence of other aircraft), a ‘detect and avoid’ capability, which replicates a traditional pilot’s ability to look out of the aircraft, will be required. This technology will be necessary for unmanned aircraft to safely integrate in shared airspace with manned aircraft, such as light aircraft and fast military jets. Until unmanned aircraft have the ability to intuitively avoid other airspace users, in the same way as manned aircraft should, then they will not be allowed to operate outside of ‘segregated’ airspace. The Regulations relating to all flying operations within the UK are contained within CAP393 Air Navigation: The Order and the Regulations (ANO 2016). Additional requirements for UAs are published in CAP722. 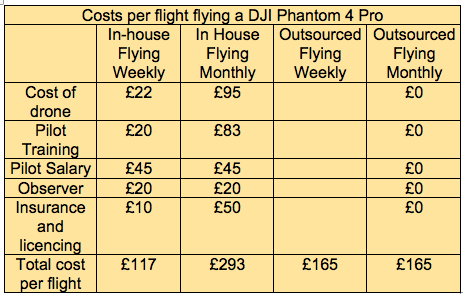 If you would like to find out what hiring a drone and pilot will cost pop over to our pricing page. That will give you an idea but every situation is different so please do get in touch with us to discuss your needs. 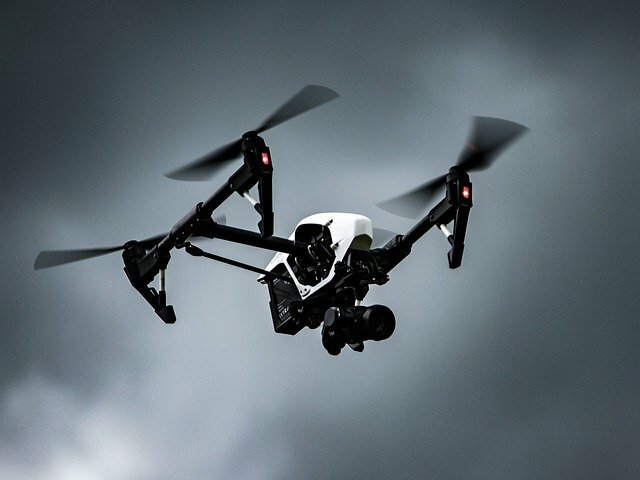 This article from IFSEC Global reports on the use of drones in security applications. Drone security deployments are increasingly common, as our new security drone report explains. The global market for commercial applications was projected to be worth $127.3bn (£88bn) by 2020 – a staggering 6,000% jump in three years – by a PwC report published in May 2016. And security is set to account for $10bn (£7.8bn) worth of the market, behind only infrastructure, agriculture and transport. Drones are already more widely used in the security industry than many might have realised if our survey is any barometer. Sixteen percent of respondents – mostly comprising security professionals, heads of security and other senior executives – say they already deploy the technology. Three in five (60%) either already use drones or can foresee themselves doing so eventually, so it doesn’t seem hyperbolic to describe the growth trajectory for this market as heading sharply upwards. Replicating a model gaining ground in access control and long dominant in intruder alarms, the provision of drones as a service is likely to suit businesses that only need security drones periodically, want the flexibility to scale their operation up or down rapidly, or simply want to test the concept without making a big investment in hardware and training. Unlike more established security technologies like CCTV, access control and intruder alarms, drone use does not benefit from the accumulation over several decades of guidance, operational methodologies and technical standards. They represent if not unchartered territory, then certainly lightly explored terrain. The British Security Industry Association (BSIA) estimates that there are between 4-5.9 million network cameras in the UK – about one camera for every 11 people. With so much of our urban environment already under surveillance, might hard-nosed security professionals write surveillance drones off as an expensive gimmick? Perhaps yes, and understandably so, in certain contexts – most obviously in the surveillance of building interiors. And yet, as well as being unmanned and equipped with on-board cameras, the other obvious facts about security drones are that they are mobile and airborne. This means they can do things that are impossible for regular fixed surveillance cameras – like birds-eye views over large areas or dispatching rapidly to areas of interest. Consider this in combination with the enormous size of the global surveillance market – worth more than $30bn (£23bn), according to MarketsandMarkets – and the enormous, disruptive potential of this technology becomes clear. It is understandable, then, that aerial overview surveillance should have the widest appeal among security applications, with 61% of respondents expressing an interest. Tracking drones are hundreds of times cheaper to hire or run than a helicopter, not to mention infinitely more nimble and discrete in tracking suspects. Both short- and long-range tracking were popular functions among survey respondents, with 39% and 35% respectively keen. Security guard tour applications are the second most sought after application, with just shy of one in two (49%) of those polled expressing an interest. Licence plate identification was of interest to more than one in four respondents (27%). Security guard tours are capable of patrolling more rapidly and extensively than human guards, as well as being unimpeded by physical barriers on the ground, drones are an intriguing option for the 46% of respondents who have manned patrols. Of that segment, 64% said they would consider using security guard tour applications. Perhaps unexpectedly, one in two (50%) who don’t deploy manned patrols also expressed an interest in the same functionality – suggesting that drones make unmanned patrols a viable, desirable tool for organisations that eschew or cannot afford manned patrols. Where sensors detect an intrusion at the perimeter, a security drone can be dispatched much faster than a person on foot. And once at a scene – perhaps deploying a thermal camera – they can more readily spot, track and report the movements of an intruder than a flashlight-wielding security guard. This also removes humans from harm’s way. Offering rapid situational awareness, drones can therefore be an invaluable aid to first responders in emergency situations involving casualties. Drones don’t get distracted and need neither sleep nor food. That said, they still need refuelling in a way that is much more limiting than a human guard’s need for food and water. The capacity of security drones to support and reduce numbers of fixed cameras and ‘boots on the ground’ is constrained more than any other factor by battery life – and drones are currently deficient in this regard. At present, commercial drones can typically fly continuously for only about 25 minutes. Surveillance monitoring is a 24-7 undertaking so it’s a major drawback – albeit one obviously solved by rotating multiple drones in shifts. Requiring a larger fleet, however, this obviously increases costs. 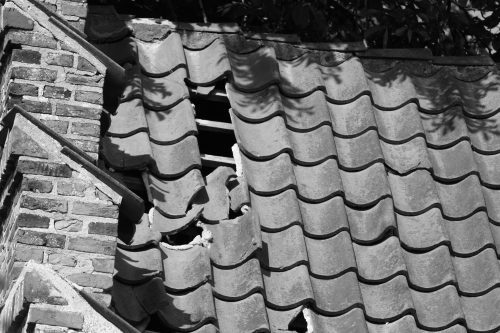 Building surveyors will know that most building surveys require visibility of the buildings roof to identify its condition and assess any defects. The ability for a drone to carry out a visual inspection of high-risk areas can save time and reduce H&S risks. Drone footage can be recorded from the safety of the site cabin and then sent to project stakeholders in HD. Using a drone to fly over a site can show new site operatives H&S risks in real-time. Enabling site managers to demonstrate moving vehicles, moving cranes, or active excavation areas etc. Carrying out planned or reactive maintenance inspections of high-up structures such as bridges, towers, roofs and scaffolding, can often involve costly access arrangements, and site personnel working at height. Drones can provide a quicker and easier way of carrying out the inspections, feeding back HD real-time footage to the engineer or surveyor from the ground. Construction progress reports are often prepared monthly to record site progress against the project programme. These reports include the surveyor or CA taking multiple photographs of various parts of the site. A regular drone flight can be a speedy way to record and visualise project progress. Through a series of aerial shots and HD video project stake holders can gain a better insight into the progress that has been made without actually being on-site. Impressive photography is becoming more and more important in the way construction organisations promote their business, especially as the use of social media is becoming more important as a work tool. The ability to capture impressive 4K HD video and photos from unique angles can provide an interesting insight into a project or building, making it great for marketing material. In particular, this could be a great tool for estate agents looking to demonstrate impressive shots of a property or building they are looking to sell! When carrying out high risk work on-site it may be necessary for certain professionals to gain real-time updates on what is happening. Utilising First Person View (FPV) technology, a drone camera can stream HD footage to the project team or project stakeholders in real-time. This experience could also be enhanced by the use of VR glasses. Construction sites are ever evolving and the movements on-site don’t always stick to programme. Drones can provide a real-time update of what is going on around the site. Carrying out a speedy flight around the site can give a good overview of potential issues to be aware of. For instance moving vehicles, machinery or cranes etc. Often for a surveyor it can be hard to gain access to a suitable location to laser scan high up areas of a building, meaning the point cloud is returned missing vital information. Laser scanning from drones has become a recognised method of capturing the exact detail of topography, buildings and cityscapes and can provide the missing piece to point cloud scan for input into Building Information Models (BIM). Similar to laser scanning, drones can be used to take aerial thermal imaging recordings which can be used to assess potential cold spots in buildings or even heat spots in areas holding electrical components. This can give engineers and surveyors essential information when trying to identify and rectify building defects. Are you planning your wedding for 2018? You are going to want to have us come along and make sure we capture the event for you with our Ultra High Definition video drone. We can give you a fully edited video and high definition photographs that you won’t be able to get without a drone. Let us know what you would like and we can work out a package to suit you. To make sure we are available for your date please get in touch to discuss your requirements. We may already be booked for your date or it may be that your chosen venue isn’t suitable for aerial photography, just send us a message or give us a call to find out. We know weddings can be expensive and difficult to budget for so we have a variety of payment options you can use to make juggling the finances easier. For example, you could pay a deposit then payment in full before your wedding, as you do for most things for your wedding. Alternatively, you could opt for no deposit and spread the payments monthly right up to just before your wedding, or a mixture of the two. Just give us a call and we can tailor something to suit you but do it soon or your date might not be available!